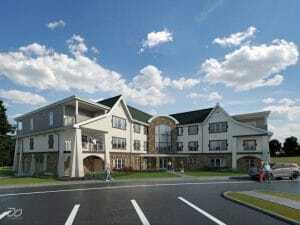 residences to the community, and the first phase is expected to open in November 2019.
contain 13 apartment homes each, with residences ranging from 1,400 to 1,800 square feet. 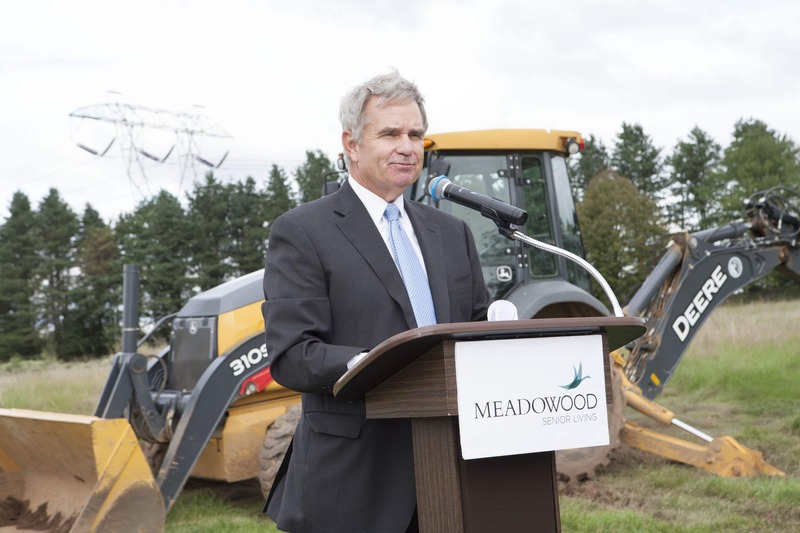 Meadowood Senior Living Board of Directors Chair, Bruce McKenney addresses the crowd at the Grove groundbreaking ceremony on September 24, 2018. 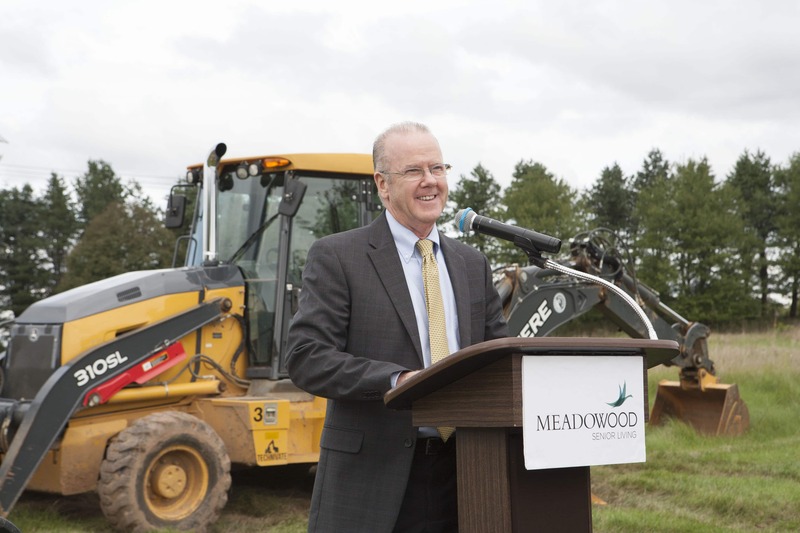 Paul Nordeman, Meadowood Senior Living President & CEO addresses the crowd at the Grove groundbreaking ceremony on September 24, 2018. 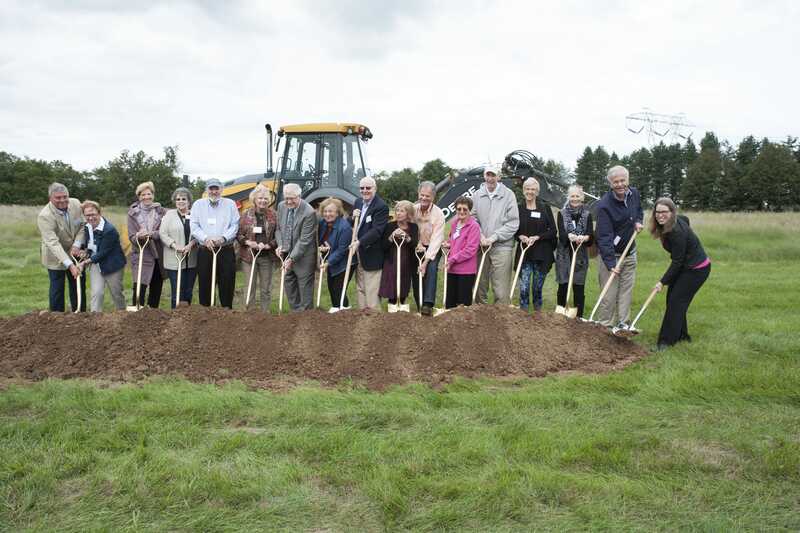 Grove depositors and Meadowood Senior Living Vice President of Marketing, Shannon Grieb “break ground” on The Grove! ← What’s included in my monthly service package? More free time, enhanced wellness and compelling connections!